Dillon Byrne and Art McLaughlin competed in the U13 event on Saturday. Both went through to the semi-finals - Dillon had to play Thomas Joyce of Mayo Academy and Art met Matthew Cherry (Glenburn). It was not to be for Dillon with Thomas going through. Art had a 3-0 victory over Matthew to meet Thomas in the final. 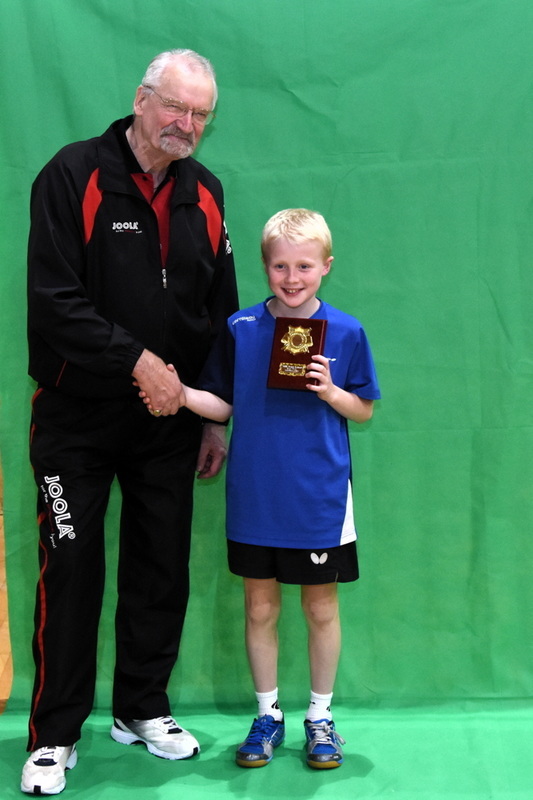 The match was hard fought and went to a tight fifth set with eventually Art losing 11-8 to take the silver trophy. Dillon came 3rd to take the bronze after a victory against Matthew. 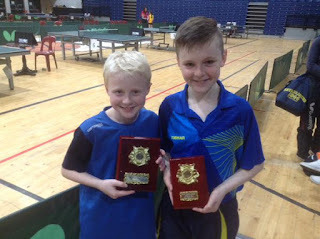 The two boys went into battle again in the U15 event (Cadet boys). They were joined in this event by club mate Ravi Seth. Ravi had to play Dillon and Paddy Vaughan (Mountrath) in the first group. Dillon and Art got through their 1st round but had to meet in the 2nd grouping along with Thomas Joyce and Ethan Duffy. It was a tough group and only two could go through to the quarter finals. Art and Dillon had to play each other to decide and Art qualified. Next he had to play Paddy Vaughan of Mountrath. Art won the match 3-1 and met Conor Nugent (Glenburn) in the semi-final. 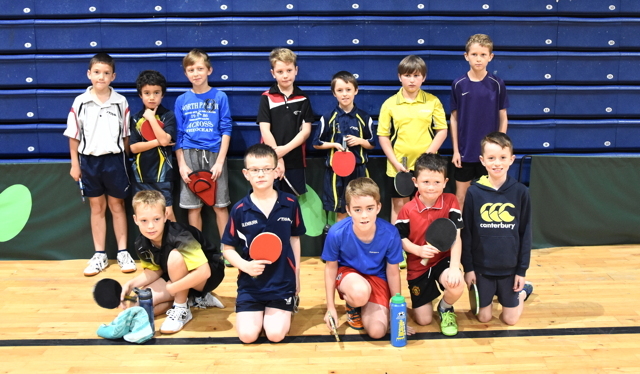 This match was a great display of junior table tennis which went to the 5th set. Conor was victorious and went on to win the Cadet boys. Art beat Alan Pattison of Dundrum to take 3rd place. Mia O'Rahilly Egan played in the Cadet girls event. 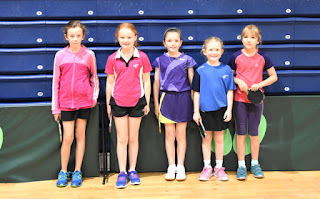 She qualified from her first group and went on to beat Nicole Scott (Glenburn), Pravesha Ragi (Hilton Grove) and Lucy Craig (Glenburn) to qualify top from round 2. 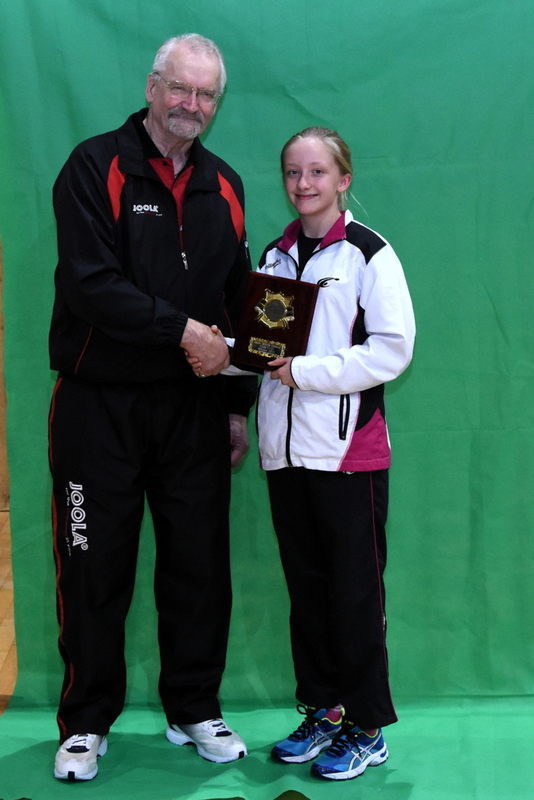 She faced Zofia Wawrzyniak (Leeside) in the final. Mia took the gold after a 3-1 victory! 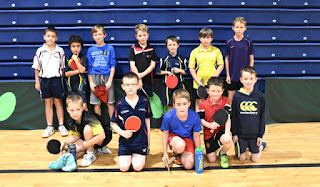 Paul Lynch played in his first Hopes event and enjoyed the day with plenty of matches. 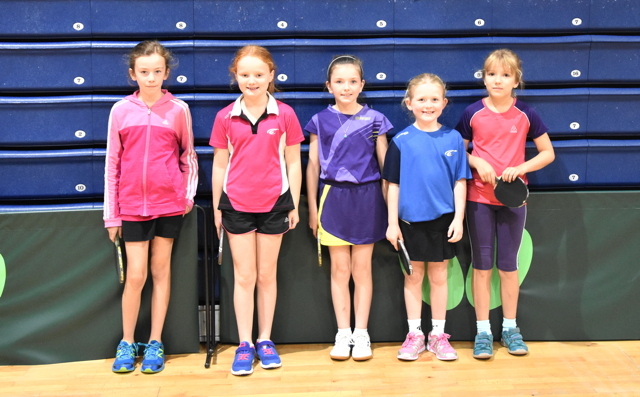 Sadbh McLaughlin and Aine Carles entered the girls Hopes and had lots of fun. Sadbh won all her matches to come first - well done Sadbh.